As an unconference, we’ll be submitting these ideas for discussion and so we’ll see how many of them gain interest of enough people to have a discussion. 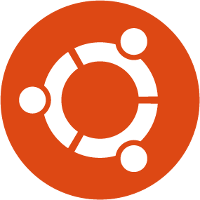 Since we’ll all be together, we also managed to arrange some time together on Monday afternoon and Tuesday to talk about how these challenges impact Ubuntu specifically and get to any of the topics mentioned above that weren’t selected for discussion at CLS itself. By the end of this in person gathering we hope to have some action items, or at least some solidified talking points and ideas to bring to the ubuntu-community-team mailing list. I’ll also be doing a follow-up blog post where I share some of my takeaways. If you’re attending CLS join us for the discussions! If you just happen to be in the area for OSCON in general, feel free to reach out to me (email: lyz@ubuntu.com) to have a chat while I’m in town. I fly home Wednesday afternoon. If you can’t attend CLS but are interested in these discussions, chime in on the ubuntu-community-team thread or send a message to the Community Council at community-council at lists.ubuntu.com with your feedback and we’ll work to incorporate it into the sessions. You’re also welcome to contact me directly and I’ll pass things along (anonymously if you’d like, just let me know). Finally, a reminder that this time together is not a panacea. These are complicated concerns in our community that will not be solved over a weekend and a few members of the Ubuntu Community Council won’t be able to solve them alone. Like many of you, I’m a volunteer who cares about the Ubuntu community and am doing my best to find the best way forward. Please keep this in mind as you bring concerns to us. We’re all on the same team here. This entry was posted on Thursday, July 16th, 2015 at 11:59 am and is filed under tech, ubuntu planet. You can follow any responses to this entry through the RSS 2.0 feed. Both comments and pings are currently closed. I applaud you for your hard work over the years for Ubuntu. I can see where it’s difficult to keep up participation as a project grows and matures once the ‘shiny newness’ wears off. I do try to keep up with current news but haven’t actively participated in some time. Mostly it’s the time issue moreso than the desire to want to re-engage. I think maybe the move to the online rather than in person Summits could be a factor as well. Even if it were an annual event, perhaps combined with another, that was such a great way to reward volunteers and form relationships. While online is great, there is something magical about sharing a beer with someone and active conversations at a rapid fire pace. Great work Lyz and it should be good to get some ideas flowing. It can be hard facing the same conversations over and over without new blood coming into the groups and also at the same time feeling like you’re going around in circles with topics. As for you Harvy – how about you knock that kinda talk off and if you have nothing better to do go and read a book and stop posting such vile comments about pleia2 on her own blog!